Almost indispensable in a kitchen where a lot of cooking takes place and where the cook needs all his/her tools within reach. 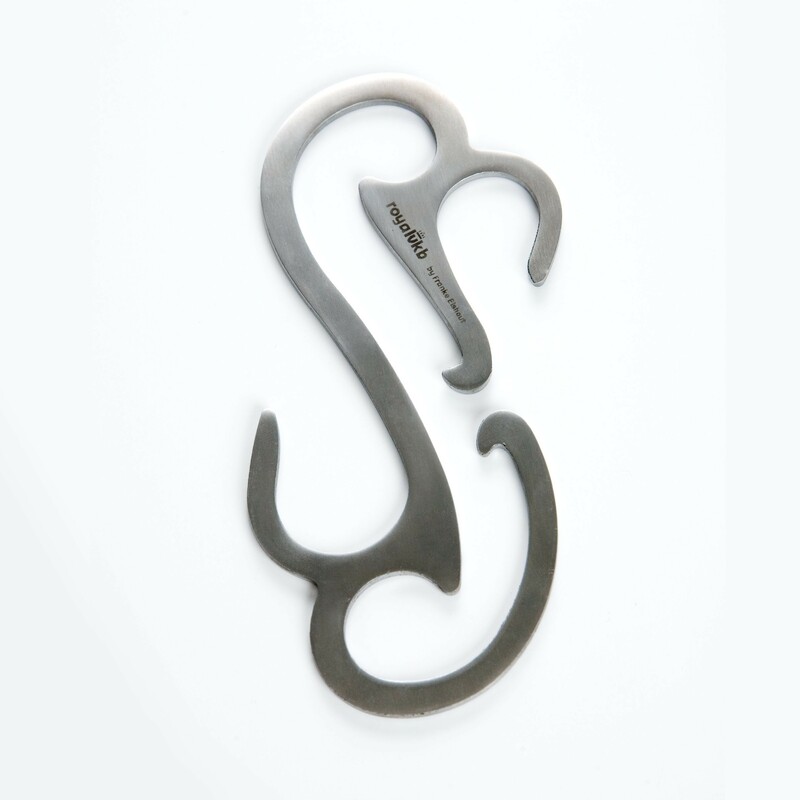 Tool Links are solid S-shaped steel hooks, decoratively designed by Franke Elshout. You'd like your kitchen utensils close to your stove? 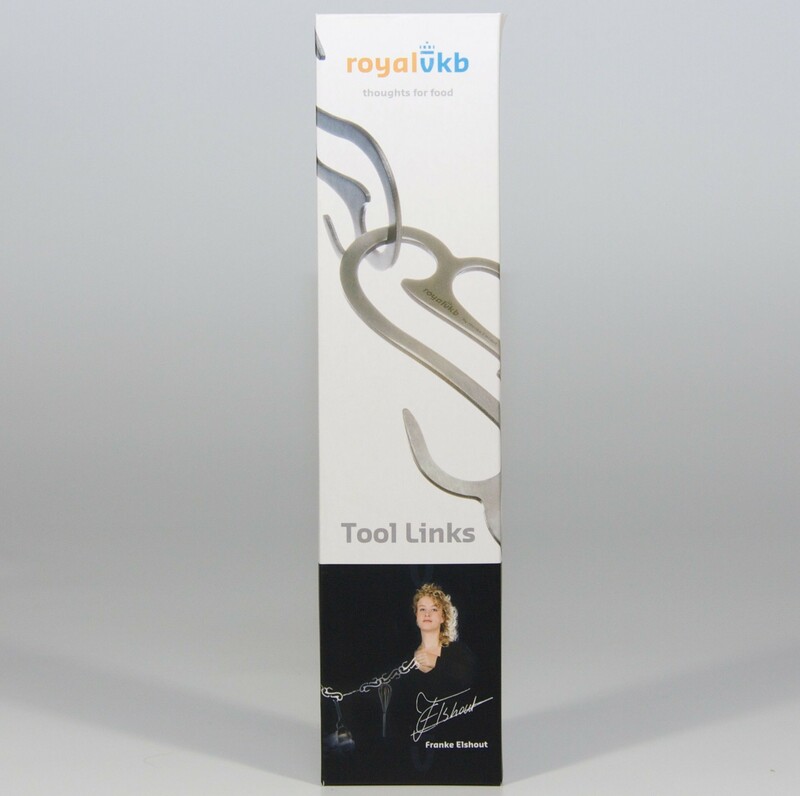 The Tool Links hanging rack by Royal VKB offers a stylish solution. The S-shaped hooks are gracefully designed by Franke Elshout. They are sturdy enough to hang kitchen tools on it. 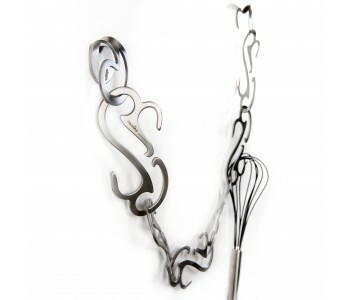 Several hooks allow you to make a chain, giving you numerous options for hanging pans and tools to assist your cooking. You'll have everything close at hand while saving valuable storage space. 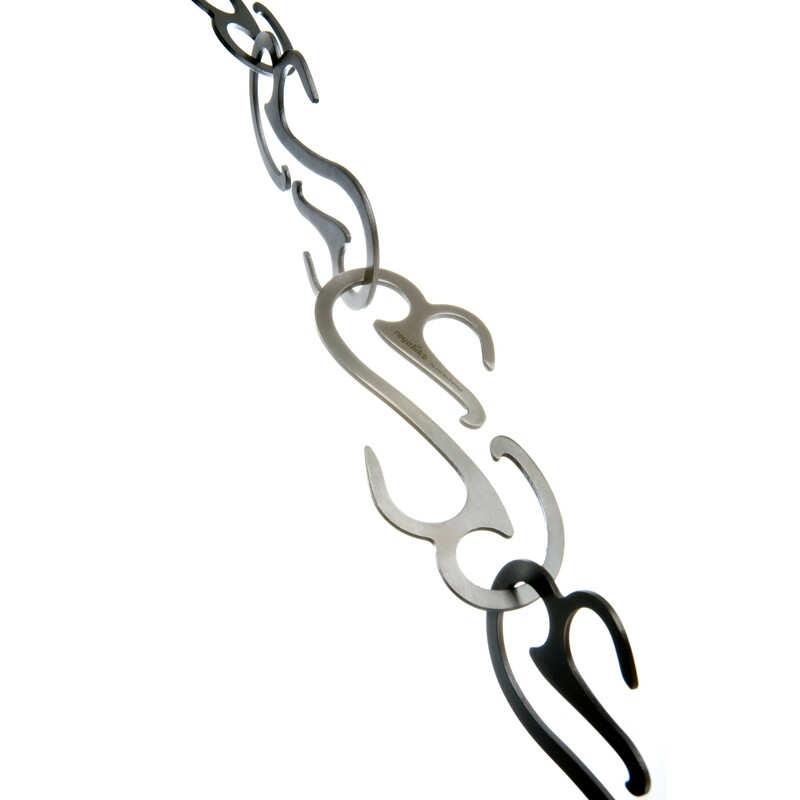 The robustly designed hooks can be mounted vertically, horizontally, or to an existing kitchen shelf. The Tool Links Suspension system is made of stainless steel (SS) and finished with a glossy coating. The set includes 12 hooks measuring 14 x 7 cm and 2 wall hooks to fix to the wall. Many professional kitchens use a system such as this Tool Links for easy access to kitchen utensils. 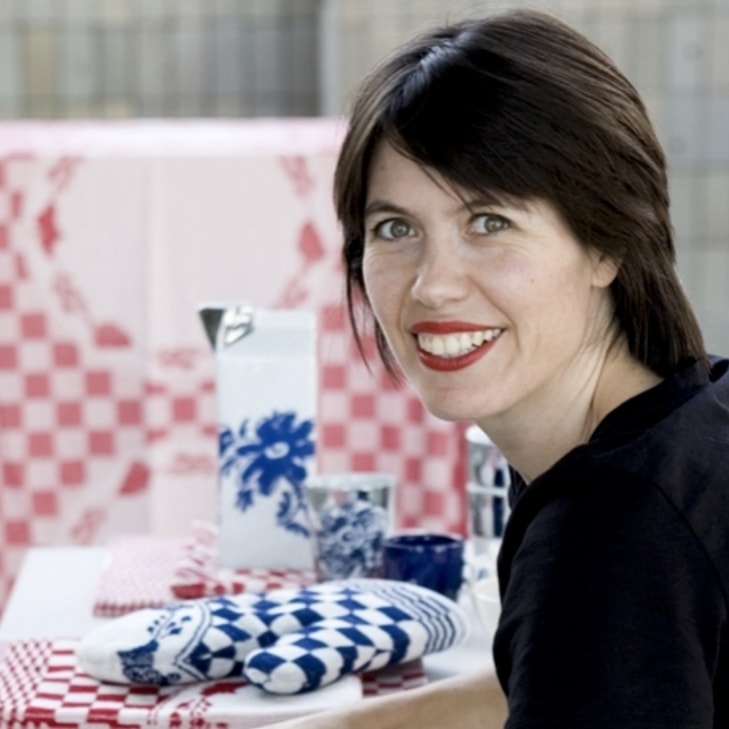 They are vital because storage space is often limited and kitchen tools are heavily used. 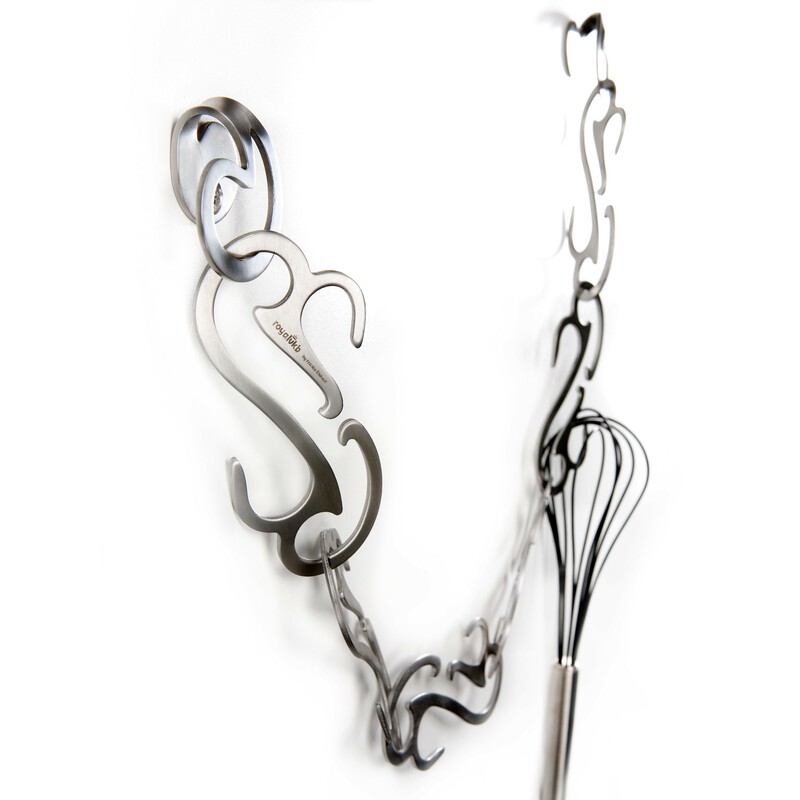 If you enjoy cooking and can often be found in front of the stove, then the Tool Links hanging rack will be indispensable for your kitchen.